Amitybee asked for photos -- well, I don't have photos of MY saddle right now but I recently tried a friend's Black Country Vinici, 17.5. Although I LOVE Black Country saddles and monoflaps in general, this was not a perfect fit. Anyone care to critique the fit? I have no dog in the fight, am not using the saddle, it's just an interesting exercise! I am curious to hear why it was not a perfect fit. Sometimes a saddle looks very good and the horse hates it and other times the saddle doesn't look 100% and the horse is happy. A lot changes when they move and the rider is up. Also, if the saddle does not fit the rider, this will affect weight distribution and can make an otherwise okay saddle uncomfortable for the pair. This is fun, especially since there's nothing at stake. No danger of getting in too much trouble. After trying tons of on Crispin saddles over the last year I at least *think* that I can tell now if a saddle does not fit. The most difficult thing though, figuring out what exactely is wrong, is still quite a mystery to me. One thing is certain (and I hope you don't mind me saying so!) the saddle is a horrible fit for your lovely gelding. The center of gravity is way off and the rear panels are pinching him. The lenght seems to be borderline. The gullet doesn't seem to be the reason. It does seem a tad too narrow, but I expected it to be much worse after seeing the side view. Impossible for me to critique the fit from photos. I have a Black Country but it's not a monoflap. Going to look at a horse to lease today; hope my saddle fits well enough for a good test ride! The saddle sits too high in the front, so it's not balanced, front to back from the looks of it. Yet, at the same time, if the tree were wider, it might end up resting on Riley's withers. So, I suspect it needs a wider tree, but more padding in the front and perhaps more padding in the back to level it--although a better fitted tree might fix it. The back looks as if it kind of hits Riley's back at the "point" of the padding as well. Not quite sure how that might be fixed but kind of a "flatter" design there might be the solution. Agree it's an interesting exercise. From the pics, the saddle appears to fit him fairly well apart from being unbalanced with the front too high and the centre therefore too far back. Is it simply placed too far forward? In this photo, has the saddle been ridden in on the horse, or just sat on the horse? Well, I'm going to go out on a limb here. Caveat: not an expert by any stretch, just find this interesting. I do not think the saddle is too high in the pommel. 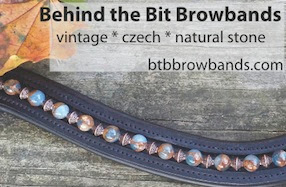 We have a fantastic saddler in my area who I have spent a lot of time learning from. One of my realizations was that, generally, the pommel needs to be higher than I would have thought for the saddle itself (centre of mass) to be balanced. I needed to look at the seat more. It is hard to judge from photos, as I'm sure you're aware, but I would say the saddle looks like it might be a good option once Riley has grown into himself (though it might need to be wider then). I find it sits too low, overall, although it is pretty well balanced. JMO. Hi Guys, I don't have any "right answers" except the saddle fitter I'm working with wasn't crazy about the fit, more the shape than anything. To me, the saddle might be placed too far forward but it did not look right placed further back either, maybe it was too wide? I wanted to see more clearance in the gullet too. It felt okay to sit and ride in but ri seemed a little stifled. I didn't ride in it long, or more than once. A couple of comments: Maybe you should try saddle pressure mapping. Hillary Clayton gave a tlak here regarding saddle fit and showed some interesting pressure points(btw..she rides in a saddle that I think is no longer made, pretty old but she loves,and uses it on (all) her horses..if she hasn't already been there you should talk to her) and second Schlesse has a video regarding billet placement on saddles...and how some tend to pull the saddle forward into the shoulder, you mentioned that might be a problem. I used a long distance saddle fitter and I'm happy with mine..had to change from the longer Wintec saddle to a shorter saddle for my shorter backed horse...he seems to like it. Good luck. Please be careful tossing the word "gullet" around, y'all...it's a bit of insanity the saddle industry has come up with. The only part of the english saddle tree which is suppose to interface with the horse is the lower part of the front arch (basically, the tree points). The purpose of this, seriously, was to dig into the horse to stabilize the saddle. This is the ONLY part of the tree that has anything to do with fitting the horse. The rest is there to form the shape of the seat for the rider. This is why was have panels: the purpose of the panels is to distribute pressure evenly between the angles of the person and the angles of the horse. So when concerning saddle fit, the only "piece" of the tree you need to worry about is that front bit. The rest is all about shape. As for gullets, the idea of a "changeable" gullet is purely a marketing gimmick. If you were to look at the front aspect of the saddle head on, in order to properly change the "gullet" to accommodate a wider horse, you would need to keep the tree point angles the same. However, this is not what saddle makers do. Instead, you put in a new gullet plate, which indeed makes the tree wider at the points of the arch but at the same time it completely changes the angles! To recap: the tree is not meant to fit the horse. It was never meant to fit the horse, the exception being where it hits the horse at the lower front points. The PANELS are designed to fit the horse. It is the shape of the panels, their angels and their width and length that is important. Wow. I wonder how any lesson string horses stay sound for years and years, sometimes into their mid thirties, in under-thought, cheaper saddle fits with multiple riders atop!!! But it happens. A lot. There's a lot more to soundness than saddle fit, and though grossly improper saddle fit can lead to serious soundness issues ... I still aver you are really overthinking this, Stacey. You're already ahead of the game and you don't even realize it. You're not going to find "it" right now. Just do your BEST and then put it to bed, or you'll go cRaZy. Also, asking this many people behind a computer screen to make important judgements without actually seeing your horse in the flesh or seeing and FEELING a saddle fit up close might actually do you and Riley harm. It may just add to the confusion given the wide variety of opinions. Don't take advice from any of us as Bible truth. But, Stacey, you really do need to be careful about how many people you ask. Opinions are plentiful. Besides, are you honestly going to spend money on a saddle fitter then tell him your blog readers told you "such and such"? To me the saddle looks like it is sitting pommel high and also looks like it is too far forward (on his shoulder). I'd say too narrow, but also probably not the right shape for his back. I would guess that if you rode in it, you'd feel like you needed to constantly lean forward to keep up with the saddle and that too much of the rider's weight would hit the cantle. Doesn't Gary come to your barn? I thought he said he did.